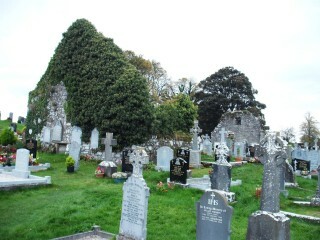 The Medieval Parish Church that provided for the cure of souls at Killimor is situated west of the village, in the townlands of Killimor and Boleybeg, in the Old Cemetery. 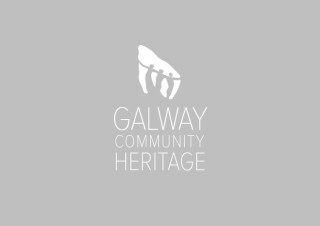 The site is located immediately to the south of a narrow roadway which was once the principal public road from Loughrea to Killimor village, before a new bridge was built to the north east over the nearby Kilcrow River. Access is gained via a gateway and a pedestrian stile along the northern wall of the cemetery. 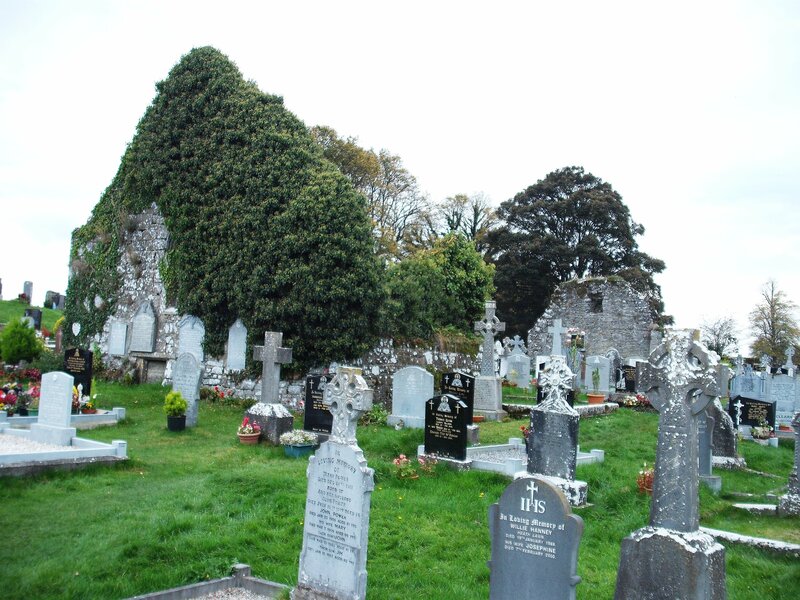 Since the church and graveyard are located on the northern slope of an esker, the church, in its intact form, would have been an impressive site. Precise dates for its construction are not recorded. Though much of the masonry is covered in ivy, the church can be broadly dated by its architectural features. A high medieval date for the church is suggested perhaps of late twelfth or early thirteenth century, with later medieval modifications. The main evidence for these dates lies in the eastern gable and the short adjacent sections of north and south walls, both bearing opposing window openings. While the masonry style of the east gable may suggest an early date, the ogee headed window in the gable, is of late medieval date, suggesting the building was the subject of enhancing and possibly enlarging works in the fifteenth century. The west gable is plain and largely featureless, suggesting an upper floor and it is of a different masonry style to the east gable. It is possible that this gable was rebuilt to facilitate the enlargement of the church. Chapel abutting the south wall. The north and south walls in the central portion of the church are non-extant and there are no clear indicators of the positions of doorways. It appears that there was a chapel abutting the south wall of the church building, of which no trace now survives. At the time of his visit there in 1839, O’Donovan was told that it had been destroyed some years earlier and that it had an association with the Mulcare, later changed to Carey, family. Killimor is mentioned in the papal documents in the fifteenth century and these are the earliest references in the historic record to the settlement, dealing mainly with administrative issues. The records also give an indication of the position of the O’Tracey family in Killimor and in particular their relationship with the church there. The earliest known grave slab in the church, dating to 1649, bears the name William O’Tressy. A detailed study of the history of this Medieval Church was carried out by Dr. Christy Cunniffe and can be read in Killimor Our Parish and Our People, Chapter 1, Part 2.